His name often falls secondary to Karl Marx and Vladimir Ilyich Lenin in popular contexts, but actually, Leon Trotsky bore every bit as much responsibility for spearheading the Russian Revolution - and (despite the eventual failure of Communism in the U.S.S.R.) retained a saint-like reputation among the Russian people that persisted for generations. 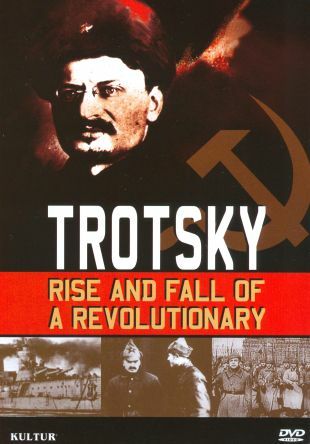 Unlike John Reed, for example (who saw in the October Revolution a chaos that lacked order and systematization), Trotsky perceived the Revolution as only one in a carefully-planned series of steps that would lead to an eventual world revolution - a vision that gave him a permanent place in the hearts of many leftists. This documentary tells Trotsky's story chronologically, making much use of archival material, period quotes, and newly-shot footage. In lieu of a reverent approach, it examines the many and varied responses to Trotsky, in order to keep him multifaceted and bring him as close as possible to contemporary audiences.